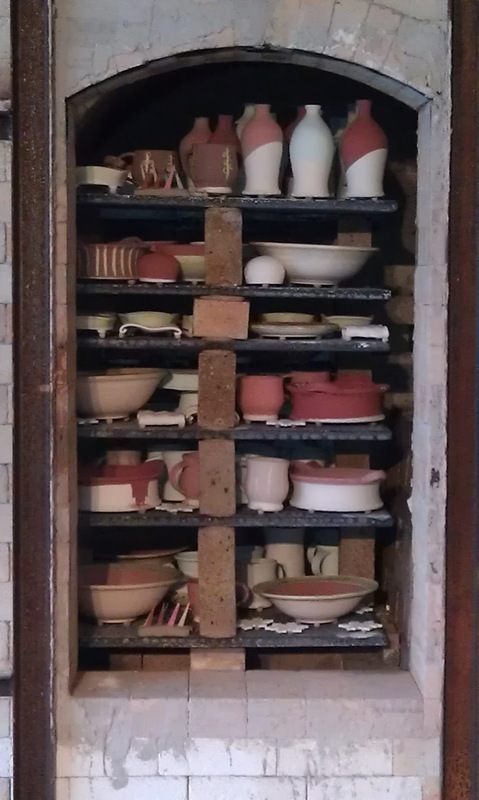 We closed up the wood kiln this morning at 10am. Despite a troubled period in the middle of the firing (stall and wood stacks getting rained on) this firing went fairly well. Cones in the bottom and top of the kiln are amazingly similar in maturity which is something I’ve been striving for and don’t always achieve. So while I didn’t feel it in my 2am delirium, I think this firing shows great promise. We’ll be unloading during the Bluff Country Studio Art Tour this coming weekend, visit if you’d like to see the results first hand. Click here for info on the kiln opening party. You might wonder what a person does the day after a 24 hour kiln firing? 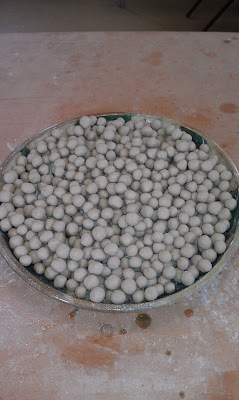 Well, after the best shower in the world and a post firing nap, I had to deal with my excess pot wadding. I seem to have this nearing neurotic fear of not having enough wadding so I always make too much. While that normally might be considered a good thing, my wadding mix has oat bran in it that causes the wadding to get nasty smelly and furry in just a couple days. I don’t usually find the excess wadding until a couple weeks later when it’s absolutely gross. 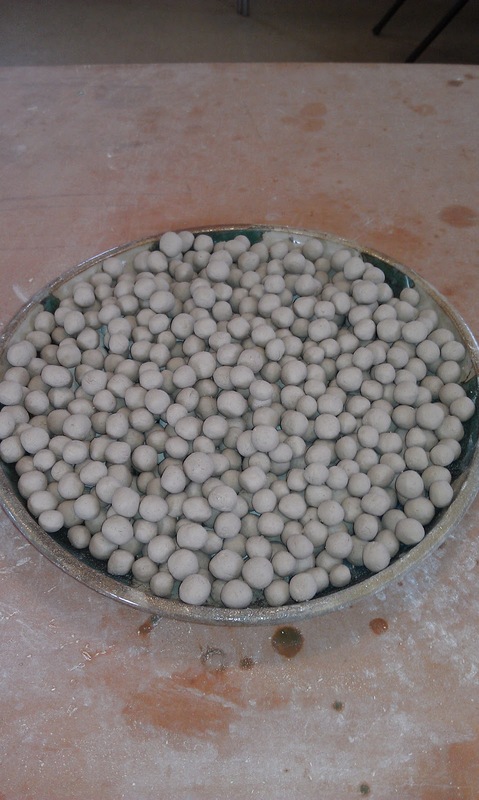 But not this time, I spent my post firing afternoon, making little wad balls, hoping I can get them to dry before they go bad. Sad huh? I really wish I could be there for the opening. Good luck with it and the show. I hope you enjoyed that well deserved beer.